Bar chain necklaces in finished lengths. Bar chain links can be straight, scalloped or hammered. 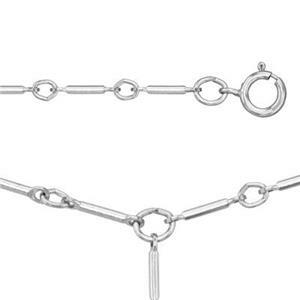 The stick-like segments are connected with jump ring links to create lengths of chain with a minimal, geometric look.